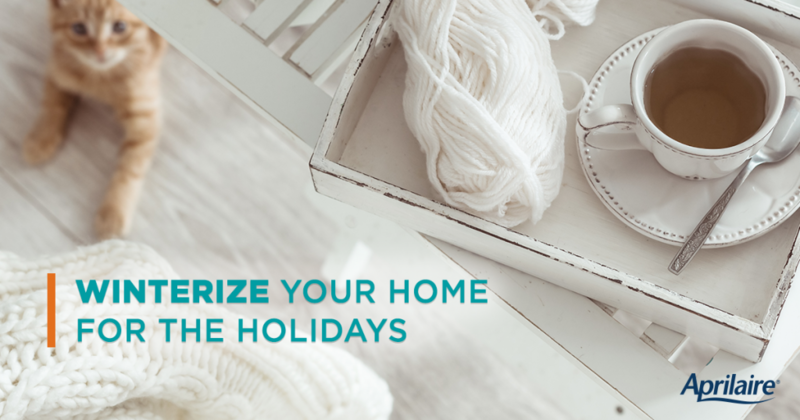 Before the weather outside is frightful, take a look at these ways to winterize your home for a delightful holiday season. Winterizing is a win-win. It’s generally inexpensive to do, and it has the potential to save you money on energy bills. Not to mention, make your home more comfortable for the winter months. Replace your furnace filter as recommended. Aprilaire filters should be replaced annually. Although most weatherproofing jobs are something that homeowners can tackle themselves in a weekend, there’s no substitute for a professional inspection to ensure your home’s efficiency throughout the harsh winter. Find a trustworthy expert in your area who can do a thorough test and make recommendations for improvement. Winterizing is just one part of creating a comfortable, healthy home. For more tips and insights into protecting your investment, check out our Healthy Home 101 series. It’s full of great information that you can use today, and blueprints that you can use for years to come.